FROGBLOG wishes you a happy Easter! Since ENERGETIXDRIVE’s inception, the enthusiasm of distributors for ENERGETIX Bingen’s car leasing programme has remained unabated. This is hardly surprising as it enables the company’s successful distributors to obtain a car from the programme at rock bottom leasing and insurance terms. The new Mercedes Benz A-Class for instance. The closed Facebook group posts news, information and photos about this attractive programme and the dream cars available under it. NB: ENERGETIX Bingen distributors who are interested can apply to the group administrator for membership. Michelle Viguié, Vice President and Head of Customer Relations of ENERGETIX USA emphasizes and stresses on the importance to comply with the DSA Code of Ethics. 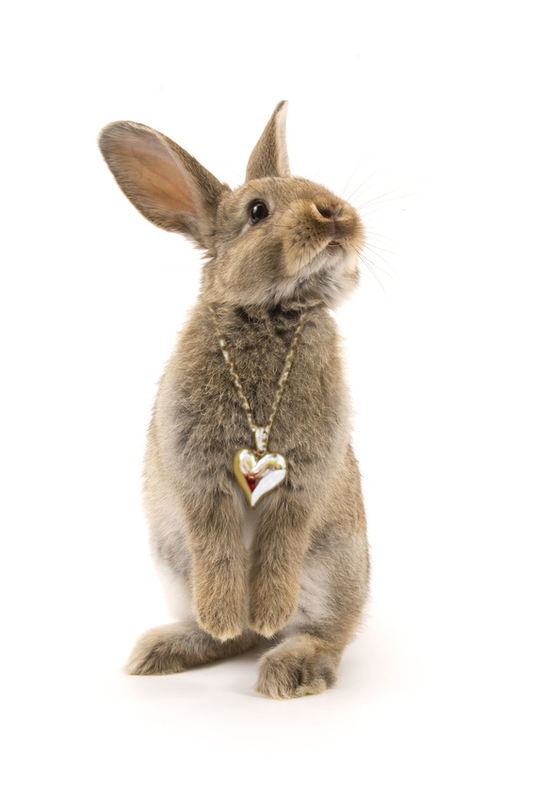 She addresses that: “The cornerstone of the Direct Selling Association’s (DSA) commitment to ethical business practices and consumer service is its Code of Ethics. As a member company, ENERGETIX Bingen has pledged to abide by the code’s standards and procedures as a condition of admission and continuing membership in DSA. The DSA Code of Ethics speaks to both the consumer and the seller. It ensures that ENERGETIX Bingen, as a member company, will make no statements or promises that might mislead either consumers or prospective sales people. Pyramid schemes are illegal and companies operating pyramids are not permitted to be members of the DSA. Members of the DSA are bound by the Code of Ethics and should follow the Proselyting Guidelines set by the DSA. Proselyting is the term of art used in direct selling to describe the attempt to convert one or more sales force members from one company to another. The ethics and legality of efforts to attract salespeople from one company to another is a subject of frequent and intense discussion by industry members. The Direct Selling Association has adopted guidelines regarding these practices of which salespeople and companies should be aware. The DSA Code of Ethics is enforced by an independent code administrator who is not connected with any member company. The code administrator will do everything possible to resolve any complaints to the satisfaction of everyone involved, and has the power to decide on remedies. ENERGETIX Bingen has agreed to honor the administrator’s decisions. ENERGETIX Bingen’s compliance with the Code of Ethics makes a bold statement about our commitment to practicing the highest ethics in business. By doing business with ENERGETIX Bingen, as DSA member company, the field sales force and the ultimate consumer can be sure they are dealing with a company serious about providing quality and service at the highest levels. For more information on the DSA Code of Ethics please visit www.dsa.org. 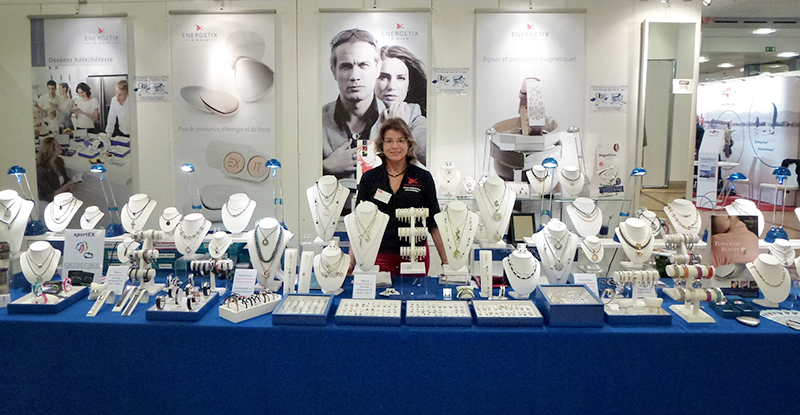 ENERGETIX’s extensive range of additional articles is available to help ENERGETIX distributors perfectly stage ENERGETIX magnetic jewellery and wellness products at trade fairs, markets and sales events. Newcomers especially will find this range of products particularly useful in the preparation of their sales. Among the things, ENERGETIX provides jewellery busts, displays, roll-up bags and trays for the perfect presentation of its jewellery. These sales materials will bring out the best in each item of jewellery. You’ll also find other sales materials such as stands, banners and flyers in the extensive range of PP articles. The appropriate packaging for each item of jewellery and every occasion is available from ENERGETIX Bingen’s wide selection of cartons, bags and folded boxes. 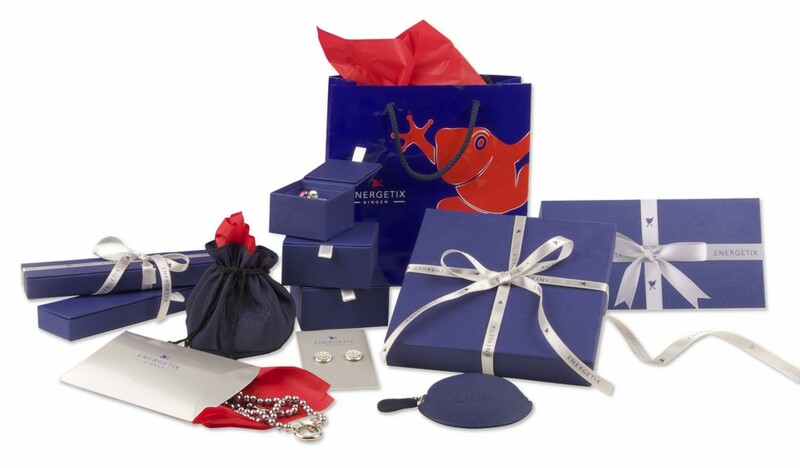 Distributors will find a large range of cases (mainly held in ENERGETIX blue) and silver-coloured packaging, which will not only protect the jewellery but also constitute the perfect gift wrap – even without additional gift-wrapping paper. For example, the little versatile zipped bag (PP432) or the pillow packs (PP09) that are available in the practical set of 10. In a shiny silver colour, these cartons sized 11 x 8 cm are ideal for holding smaller items of jewellery. Wrapped in silver colour silk paper (PP164), the pieces to be presented may be additionally protected against slipping in the folded box. This paper is supplied in sets of 10 sheets each sized 70 x 25 cm. ENERGENERGETIX distributors should not forget to draw their “newcomer’s” attention to the additional varied range of PP articles that will make setting out as an independent ENERGETIX distributor easier. 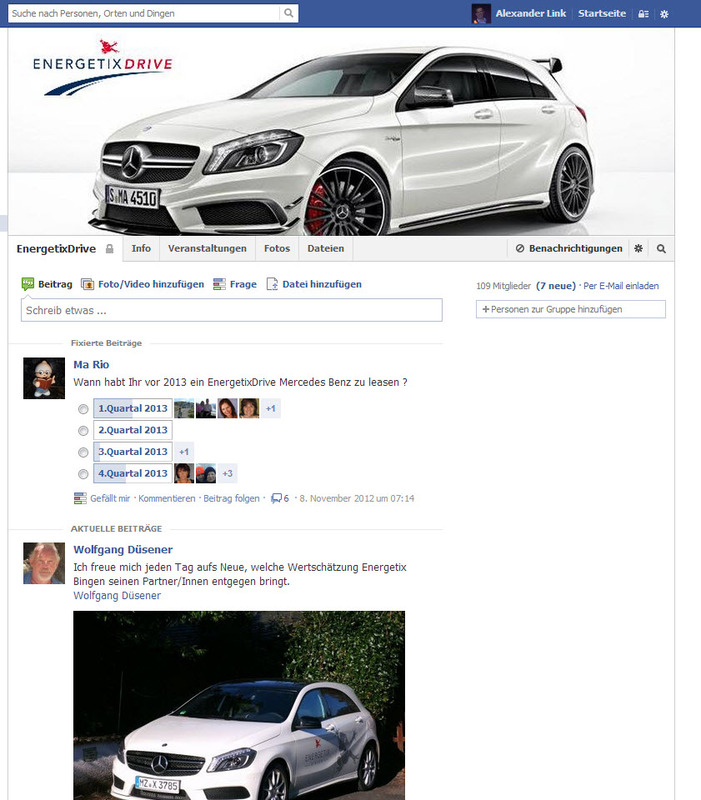 A number of other International Marketing Directors have been presented with their dream cars by ENERGETIX CEO Roland Förster and COO Dr. Klaus-Peter Thiel under the popular and successful ENERGETIXDRIVE programme. 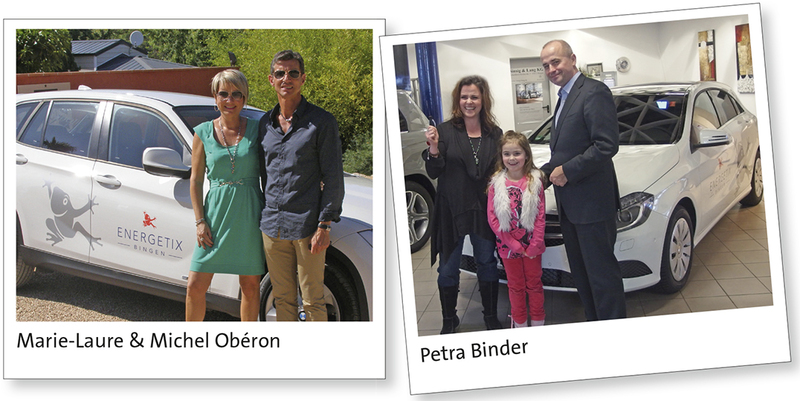 The delighted recipients of new cars from the ENERGETIXDRIVE programme over recent weeks were Marie-Laure & Michel Obéron, Petra Binder, Annette Becker-Boons, Jana Welt, Kornelia & Otmar Rombach, Lambert Brouwers and Dominique & Roland Strauß. 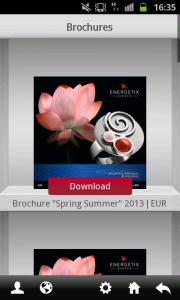 The ENERGETIX app for Android mobile phones is now available for ENERGETIX Bingen’s customers and distributors. Free for smartphones and tablets using the Android operating system – simply download it from Google Play! 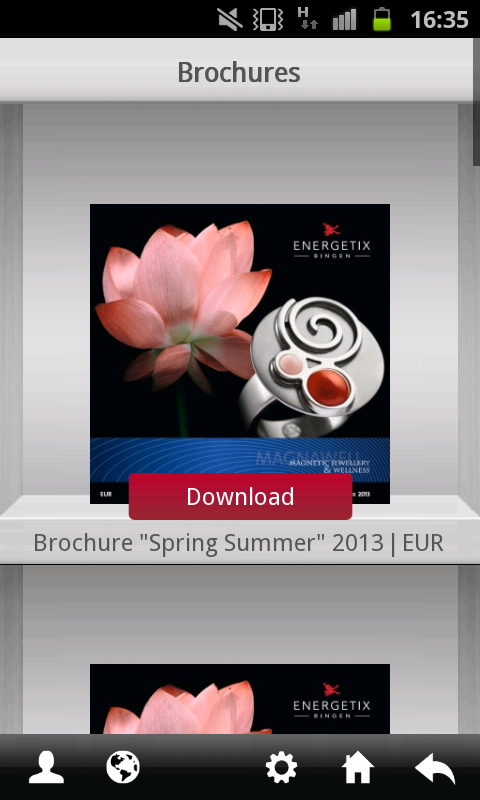 The new and really versatile app allows users to download and browse ENERGETIX catalogues, flyers, brochures and videos. So the app is a really useful sales and presentation aid for distributors. And thanks to the practical search function, the downloaded catalogues may be browsed and searched by articles and keywords. This user-friendly tool has been divided into two sections for customers and distributors and is available in five languages: German, English, French, Dutch and Danish. The app allows Android smartphone users to access FROGBLOG with “just a single click”. For more information click here. By the way: iPhone and iPad users may still of course download the ENERGETIX app for iPhones and iPads from iTunes. The professional fair stand of successful ENERGETIX Marketing Director Renée Piguet deserves a special mention. With its wide selection of ENERGETIX jewellery and promotional material, her well organized and attractive stand really caught the attention of the international visitors to the 10-day Comptoir Suisse fair held in Lausanne last September. “Fit during the lunch break” – this is the motto under which ENERGETIX has introduced fitness training sessions for its staff. The motto is based on the company’s slogan, “Fit for the next decade”. ENERGETIX is giving its staff at its headquarters in Bingen on the banks of the River Rhine the once-weekly opportunity to train, loosen and stretch their muscles, in other words to stay or get fit … and to do so easily during the lunch break. 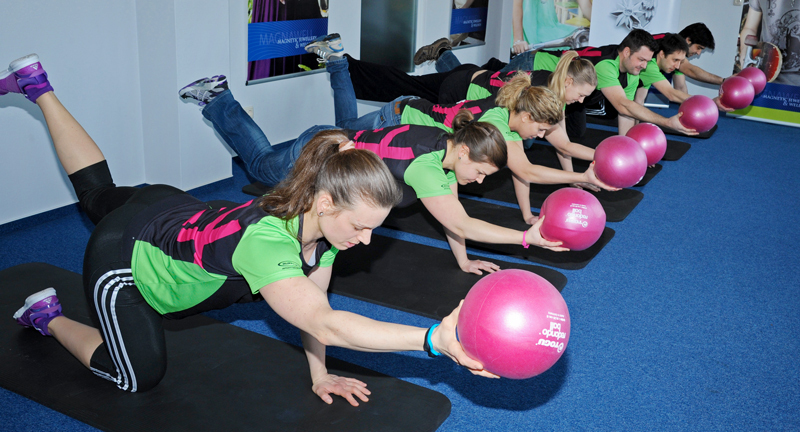 Under the professional guidance of personal trainer, Julia Rittner (those who attended the annual start-of-year event in Willingen were already able to see Julia in action), the exercises will focus on using stretch bands and exercise balls: anyone can join in with this moderate training because the exercises have been adapted to the “Frog Team’s” requirements and needs. The exercises with stretch bands and balls will be aimed at strengthening the upper back, neck and lumbar areas. Precisely those regions that frequently suffer in day-to-day work. The response is pleasing and many members of staff have taken up the offer and have joined in the fun. Due to the enthusiastic reception, several 30-minute training sessions have now been organized. Insiders were already aware of the fact that ENERGETIX Bingen had succeeded in winning Ronan Keating to model its products. So our female model, Franziska Knuppe, will be joined by the globally successful singer from Ireland in presenting the new jewellery collection in the 2013/2014 catalogue. Ronan Keating achieved global fame as the lead singer of the boy group, Boyzone. His solo career, which commenced in 1999, has also been highly successful. His most recent success is his new studio album entitled “Fires” with which he will be touring in 2013. ENERGETIX’s management took the opportunity presented by the Germany leg of Ronan Keating’s “Fires” tour to meet the singer in person beforehand. He was happy to take time out before his concert in Frankfurt’s Jahrhunderthalle on 17 February 2013 to meet with ENERGETIX Sole Shareholder CEO, Roland Förster; COO, Dr Klaus-Peter Thiel; Jewellery Designer, Janine Eisenhauer; and Art Director, Jörg Olejnik. The singer was visibly pleased and the good feeling and casual atmosphere at the meeting confirmed the decision to choose Ronan Keating as the celebrity model for ENERGETIX’s next catalogue. Everyone is looking forward to working together in the future! Ronan Keating on stage at Frankfurt’s Jahrhunderthalle on 17 February 2013 (right and left). By the way: Ronan Keating will be joining us as the guest star at the Catalogue Launch in Berlin to treat those attending to an exclusive concert on the large Estrel stage. Fans of Ronan Keating and Boyzone will also have something to look forward to this winter because the group will be touring in the UK and Ireland to celebrate their 20th anniversary.